HOUSTON (CN) — After leaving at least 30 people dead in Texas, Tropical Storm Harvey is expected to bring floods to Tennessee and Kentucky this week and push up gasoline prices nationwide — but city bus service was expected to return to Houston on Thursday, after buses and drivers were conscripted to drive evacuees to shelters. Harvey, now a tropical depression, is moving inland away from the Gulf Coast. But Buffalo Bayou, which flows through downtown into the Houston Ship Channel, will continue to rise Thursday as it drains two reservoirs that are at record levels from Harvey’s historic deluge. The Army Corps of Engineers on Wednesday increased the discharge from the Addicks and Barker Reservoirs to a combined 13,000 cubic feet per second. The earthen dams straddle Interstate 10, 20 miles upstream from downtown Houston. The Corps of Engineers built them in the 1940s to hold back Buffalo Bayou after it flooded the city in 1935. Harris County Flood Control District meteorologist Jeff Lindner said Wednesday night that the release flooded 4,000 homes downstream from the dams, and that Buffalo Bayou will keep rising in some stretches Thursday, imperiling more homes and potentially inundating those already flooded with another foot of water. Despite the releases, the Barker Dam had risen within a half inch of its 101.6-foot flood level on Wednesday night, prompting the Fort Bend County Office of Emergency Management to order a mandatory evacuation of subdivisions in the area. Due to the record-breaking 51 inches of rain that Harvey dumped on Houston, officials say they need to drain the dams quickly to reduce the risk of a breach that would cripple downtown Houston, and to make room to absorb rainfall from more storms during hurricane season, which usually lasts until November in Texas. Harvey has forced the Corps to suspend a $75 million retrofit of the dams that was expected to be done by 2021. Harvey dropped another 20 inches of rain on Beaumont and Port Arthur on Tuesday, prompting dozens of 911 calls in predawn hours Wednesday. Port Arthur Mayor Derrick Freeman said Wednesday the Coast Guard was in the city conducting boat and helicopter rescues and there were 150 boats rescuing people, 100 of which were manned by volunteers. Residents in Beaumont lost both their primary and secondary water supplies early Thursday morning after floodwaters caused a power outage at the city’s pumping station, Beaumont Fire Captain Brad Penisson said on the city website. City councilman Mike Getz told Beaumont’s 120,000 residents to fill their bathtubs with water to prepare for the outage, according to Getz’s post on Facebook at 1 a.m.
Harvey has taken more than 20 percent of the nation’s oil refining capacity offline, forcing Valero, ExxonMobil, Total Petrochemicals and Motiva, owned by Saudi Arabia’s national oil company, to shut down their refineries on the Texas Gulf Coast. Experts predict the shutdowns will increase gas prices by 15 to 25 cents per gallon around the country. Motiva said late Thursday morning it’s assessing the flood damage to its Port Arthur refinery—which is the largest in the nation, producing more than 600,000 barrels of crude oil a day – and preparing to restart its operations as soon as it’s safe to do so. “Given the unprecedented flooding in the city of Port Arthur, it remains uncertain how quickly the flood waters will recede, so we cannot provide a timeline for restart at this time. Our priority remains the safety of our employees and community,” the company said in a statement. The National Hurricane Center has downgraded Harvey, which made landfall near Rockport, Texas on Friday as a Category 4 hurricane, to a tropical depression, but expects it to continue to drench East Texas and western Louisiana on Thursday and Friday and cause more flooding. White House Press Secretary Sarah Huckabee Sanders said Thursday that President Donald Trump plans to donate $1 million to victims of floods and rain caused by Harvey. She said she was unsure whether the money would come from Trump directly or the Trump Foundation, and he has not yet decided which group the donation will go to. Forecasters predict that as Harvey moves north it could also cause flooding in Tennessee and Kentucky, and say its outer bands have brought rain to Atlanta. New Orleans may also see heavy rain, which could overwhelm the city’s crippled pumping system. Gov. Greg Abbott said Wednesday that the number of Texas National Guardsmen deployed in Texas flood zones has increased from 12,000 to 14,000, and he is asking for another 10,000 guardsmen from other states. Abbott said the federal government granted his request to add 14 Texas counties to the federal disaster declaration, which will allow residents to apply for aid with the Federal Emergency Management Association, bringing the total of Texas counties under the declaration to 33. Houston’s George Bush Intercontinental and Hobby Airports opened up Wednesday for limited flights after Harvey forced them to shut down Sunday. More than 51,000 customers in the nine-county Houston region were still without power early Thursday, CenterPoint Energy said, and state officials said 32,000 people were in shelters Wednesday night. Two explosions were heard at 2 a.m. Thursday and black smoke spewed from an Arkema chemical plant in Crosby, northeast of Houston, the company said. Arkema evacuated all of its employees Tuesday, and 300 residents within 1½ miles of the plant were voluntarily evacuated after the plant lost power and refrigerated organic peroxides began to heat up. 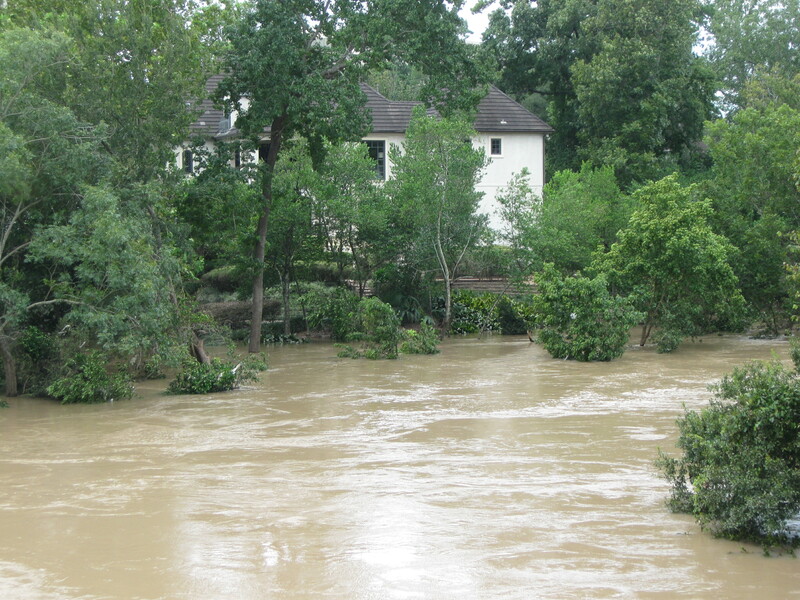 “Unprecedented flooding overwhelmed our primary power and two sources of emergency backup power. As a result, we lost critical refrigeration of the products on site. Some of our organic peroxides products burn if not stored at low temperature,” the company said. Both Arkema and city officials said that “the best course of action is to let the fire burn itself out” because the chemicals involved were volatile. A total of 15 officers with the Harris County Sheriff’s Office went to the hospital due to the smoke and fumes, though nine of the officers drove themselves to the hospital only as a precaution, Harris County Sheriff’s Office spokesman Jason Spencer said Thursday. The hospital told the sheriff’s office that none of the officers suffered any life-threatening injuries, Spencer said. Mayor Sylvester Turner said Houston garbage truck drivers were expected to get back to work Thursday. Public schools are expected to open Monday, a week late, as the enormous cleanup begins. Courthouse News reporter James Palmer contributed to this story.